Nestlé is the world’s largest food group involved in nearly every field of nutrition, with a turnover of 81.4 billion Swiss Francs annually. With a total workforce of approximately 224,541 people in some 479 factories worldwide, Nestlé is not only Switzerland’s largest industrial company, but it is also the World’s Largest Food Company. Nestlé products are available in nearly every country around the world. Nestlé is dedicated to providing the best foods to people throughout their day, throughout their lives, throughout the world. With their unique experience of anticipating consumers’ needs and creating solutions, Nestlé contributes to everyone’s well being and enhances the quality of life. Wherever one lives, only Nestlé can provide the best and most relevant food and beverage products to meet everyone’s needs throughout the day, and life. Chocolate and confectionery : Nestlé, Crunch, Cailler, Galak/Milkybar, KitKat, Quality Street, Smarties, Baci, After Eight, Baby Ruth, Butterfinger, Lion, Aero, Polo, Frutips, etc. 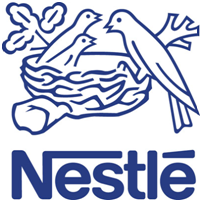 Nestlé Bangladesh Limited is a wholly owned subsidiary of Nestlé S.A. Switzerland. The factory is located 55 K.M. from Dhaka and produces instant noodles, chocolate drinks & repacks milks & infant nutrition products. The Company wants to be recognized as the most successful food and drinks company in Bangladesh, generating sustainable, profitable growth to the benefit of shareholders and employees. The beginnings of Nescafé can be traced all the way back to 1930, when the Brazilian government first approached Nestlé. Nestlé’s coffee guru Max Morgenthaler, and his team set out immediately to find a way of producing a quality cup of coffee that could be made simply by adding water, yet would retain the coffee’s natural flavor. After seven long years of research in Nestlé’s Swiss laboratories, the answer was found. The new product was named Nescafé – a combination of Nestlé and café (wherein the word café means ‘coffeehouses or coffee-bars). Nescafé was first introduced in Switzerland, on April 1st, 1938. For the first half of the next decade, however, World War II hindered its success in Europe. Nescafé was soon exported to France, Great Britain and the USA. Without realizing it, America played a key role in re-launching Nescafé on the continent by virtue of the fact that it was included in their food rations. Its popularity grew rapidly through the rest of the decade. By the 1950s, coffee had become the beverage of choice for teenagers, who were flocking to coffeehouses to hear the new rock ’n’ rollmusic. It is currently estimated that, on average, some 3,000 cups of Nescafé are drunk every second. As is evident Nescafé’s come a long way since 1938 and all is owed to Max Morgenthaler and his team! 1938~ The original Nescafé pack first used in France, then Great Britain and the USA. Over the years the product’s logo has changed a little bit…..
1952~ A major breakthrough was made at St. Menet, in France. The Company could now make Nescafé using 100% pure roast coffee beans, with nothing else added. So they quickly introduced 100% pure soluble coffee throughout the world. 1965~ The Company introduced freeze-dried soluble coffee with the launch of Gold Blend. 1967~ The birth of the granule! With this innovation it was possible to capture more aroma and flavor from every single coffee bean. 1994~ The ’full aroma’ process was invented to make the unique quality and character of Nescafe´ even better. 1999~ Today, Nescafé coffees are available to suit all tastes and in a wide range of packaging. But Nescafé still holds true to its founder’s aim – to bring everyone the world’s very best coffees, the Nescafé way! This is the positioning statement that Nescafé wants it consumers to relate to when they drink Nescafé Classic. The company has determined Nescafé’s target market based on a multi-attribute segmentation model. 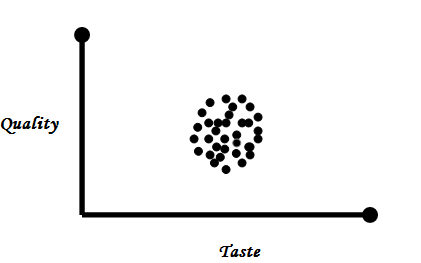 The pattern of segmentation selected is homogenous segmentation based on the belief that all consumers of Nescafé have similar preferences on the dimensions of both taste as well as quality. Age and Life-Cycle Stage: Nescafé targets the late teens to early thirties segment of the population. As its secondary target market it aims at the 30+ segments. According to Nescafé it is the 18-30s market in Bangladesh that shall be its future potential coffee drinkers and hence it focuses on appealing to them. Density: Nescafé has been focusing all its resources on appealing to the population living in the urban areas. Due to limited resources the company feels that diverting resources to the rural areas will not be cost-effective. Social Class: Coffee is a drink for the affluent segment of the society. As such Nescafé targets the upper strata of society. Lifestyle: People believe that coffee consumption is an indicator of their rich and prosperous standard of living. Nescafé users or potential users are assessed to be individuals with active lifestyles and hence Nescafé produced its line of Instant beverages. Personality: Nescafé has endowed its products with a brand personality that corresponds to its present and potential sconsumers. Some of the personality traits of Nescafé are: Confident, Positive, Success and Achievement-Oriented, Getting started in life, Dynamic and Optimistic. Occasions: Nescafé promotes its beverages as ideal for all occasions such as breakfast, midday, evening, night (when you want to stay awake), important days such as Valentine’s Day, etc. Benefits: Nescafé users can be classified as ‘people who seek to be recharged’, ‘people who want to let others know that they have important stations in life’, ‘those who want to start their day with something positive’, etc. User Status: Nescafé’s markets can be segmented into nonusers, potential users, first-time users and regular users of coffee. Usage Rate: Markets are segmented in to heavy coffee-drinkers, medium to light consumers. Nescafé tries to capture heavy to medium users of its product. Primary: 18 to 30 years: Both male and female. (Valentine day’s campaign). Geography: Urban (no rural market positioning done yet as it is not cost-effective). Psychographics: Modern, Friendly, Social, Adaptive to Change, and Attracted by Internationalism. Nescafe is focusing on the huge market potential in our country. In a country of over hundred twenty million hot beverage drinkers Nescafe is yet to take full advantage of the huge market potential that lies in front of them. However, since its introduction in 1998 Nescafe Bangladesh has achieved a remarkable growth rate of almost 27%. Everyone can see that coffee drinking is rapidly gaining widespread acceptance. This is due mainly because of the shrewd market positioning of coffee by Nescafe Bangladesh. Nescafe’s marketing strategy is based on two basic understanding of the consumer behavior. Firstly, it is trying to increase the consumption of coffee as a whole instead of trying to gain a larger market share of the existing coffee market. This is mainly because their market share is currently over 79% of the existing coffee market. This not bad by any standard and the lost market share is due to consumer convenience. So, it is fair to hold on to existing market position. 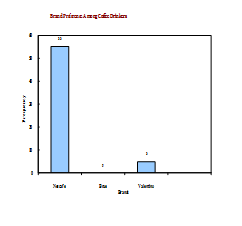 But the alarming this is that despite all their efforts coffee consumption is only 2% of the tea market. So, success lies in increased coffee consumption. Secondly, Nescafe is targeting the younger generation as their target consumers. This is because if a youngster becomes coffee drinker he will serve as a customer for nearly 25-30 years. The other factor is that their relationship with tea is not as deeply rooted as their older generation and thus is easier to change. So, Nescafe is positioning itself as a trendy, sophisticated, modern hot beverage. The consumer research that we have conducted confirms that they have positioned their product correctly and have a tremendous probability of gaining success. drinkers. More importantly, almost 40% drink both tea and coffee. This vast group is very likely to get influenced in the future because of widespread media promotion of Nescafe. All this is showing that the young generation is increasingly developing a liking for coffee and the shift from tea towards coffee has begun. When it comes to drinking coffee, almost 92% of the respondents answered Nescafe. This included both the company’s product and the importers. The only other brand to have an impact is Valentino. Valentino’s market presence is not because of taste and recognition but because of the fact that it is served through vending machines. Nescafe is encouraging the promotion of coffee by any other brands or distributors because it will only broaden the growing coffee market. Actually promotion comes from the developing the marketing mix .As we know that the 4Ps of the marketing mix-product, price, place & the promotion means activities that communicate the merits of the product & persuade target customer to buy it. There are four variables in promotion is known as –APPS that means advertising, personal selling, public relation, & promotion. In this part I have discussed advertising of Nescafe, a paid from of non-personal presentation and promotion of ideas, goods or services buy an identified sponsor. # Objective of Advertising: The objective of the company is to draw attention to the buyer of the products, brands & its quality. Nescafé sales promotion consists of short-term incentives to encourage the purchase of sale of a product or services. #Sample: The company do not provide any sample for the sellers because it is very expensive & also they dominant in the market. #Price-pack: Because of the many competitor in the market exist that’s why the Nescafe co. cuts its price for the convenience of customer like- scratch card, gift etc. #Premium: the Nescafe co. offers no premium for its customer or seller. #Advertising specialty: Yes, Nescafe co. maintains the advertising specialty because they have various type of brand & their customer also vary. #Discount & Allowance: Obviously, Nescafe provides discount & allowance for the seller to increases the sale. #Press relation: To draw the attention & attracting the person to inform about the product Nescafe co. regularly maintain the press relation. #Product publicity: Nescafe co. publishing about the new product like- large packet, small packet, & medium size packet. #Tutorial sales force structure: Actually this co. doesn’t apply any sales person to sell its product. #Relationship marketing: The Nescafe co. follow the relationship marketing to maintain & enhancing strong value laden relationship with its customer & other stockholders. Try to get the consumers to try the product outside their homes. Because, people are more likely to out new things when are outside. People tend to bring back home the products, which they have tried and liked outside. In most of the ads, models are often drinking coffee outside. Try to give place convenience by offering coffee at every possible hotel, restaurants and fast food shops. It will be beneficial if coffee can be made available in vending machines or to give it to coffee-boys. Nestle Bangladesh does not discourage the promotion of other coffee brands or importers. Rather it thinks that their campaign will influence people to drink coffee more and thus be beneficial for Nescafe as well. Try to give Nescafe a sophisticated and classy image as well as hold on to the reputation of quality. All the TV ads are in English to match their image. If possible try to give a distinct brand personality. Try to associate Nescafe with the culture especially the youth culture of this country. If possible try to associate with the positive things the young people like to do. Also, if possible try to incorporate with the office culture and try to convince people that even if they do not drink coffee right now, it will be appropriate and expected from them to drink coffee after they have reached a certain stage of their career. Most importantly the focus is not to increase their market share in the existing coffee market, but rather to increase the coffee consumption as a whole. So projecting an image that Nescafe is coffee, and coffee means Nescafe would be appropriate. It is the prime objective to make people think that Nescafe is a far better choice than tea even if drinking coffee requires a bit of extra effort and price. “People, especially salespeople, don’t like being dictated to,” says Mr. Nokib Khan Executive Manger of Nestle Bangladesh Ltd.He believes the old school of sales management tells people what to do. But the new school invites salespeople into the process of setting quotas and goals, allowing them to figure out what they are capable of achieving. If you think this sounds like letting the inmates run the asylum, think again. According to one manager, the great paradox is that salespeople will invariably come up with a more aggressive sales goal when left to their own devices than if their manager sets the target. “If you tell a salesperson he must do $2 million dollars next year, he will call you crazy and say it’s impossible,” says the sales manager. “But if you work with salespeople and encourage them to analyze their accounts, they’ll come up with a number that is consistently higher than what you would have set your self. It’s really a shocking phenomenon.” So shocking that this manager often has to encourage his people to adjust their optimism and set slightly more realistic goals. But what happens when upper management devises a wildly unrealistic sales target and drops it down from above? What should a sales manager do? Some managers who have been in this position say it is impossible to push back against management without losing their jobs. Likewise, it is imprudent to force the number on salespeople and expect them to perform. “You work for the company, so it’s your obligation to reach the goal, no matter how unrealistic,” says one sales manager. “But it’s also your obligation to protect your salespeople from arbitrary numbers.” This manager suggests figuring out other ways to remunerate your salespeople other than simply quota-based commissions. That might mean convincing management to offer greater incentives or a higher base salary. One another step that connects buyers and sellers of industrial products, says it’s crucial for salespeople to establish a set of daily, weekly and monthly benchmarks that help them measure and manage their ultimate goal. For instance, if one of her salespeople has a target of $1 million, she doesn’t ask them to focus on the actual dollars, but the activities that will help them reach that mark. Another effective tactic for setting and managing sales goals is to step back and evaluate what went right and what went wrong the previous year. After all, if you don’t learn from our mistakes, we are doomed to repeat them. And if you don’t learn from your successes, you can’t replicate them. “I have my teams write out three lessons from their successes and failures that can guide them as they move into the future,” says marketing manager. On the negative side, he finds that salespeople consistently believe they do not have enough time in the day to get things done, which prevents them from reaching their ultimate goal. The trick,, is getting them to reframe negative associations in a more positive light. For instance, you can’t change the number of hours in the day, but you can always find time to do what is important by prioritizing your tasks and systematically checking items off the list one at a time. Many sales managers employ a consultative approach when helping to set goals for their staff. Marketing Manger of Nestle first asks his team members to map out where they want to be financially and how much they want to earn. He then tells them to work backwards from there. “Let’s say a salesperson wants to earn $100,000 a year, and to get that, they need sales revenue of $1 million,” he says. “Together, we’ll look closely at each of their accounts and identify areas of growth where new sales can come from.” He wants his salespeople to be aggressive, but he is also careful that they don’t set themselves up for failure. For instance, a sales target of $5 million might be overly optimistic if the sales representative in question has never surpassed $1 million in his career. Another effective tactic is encouraging sales staff to share their goals with the entire team and other people in the organization. When goals are shared, people become more vested in the outcome and ultimate success. “We break commitments to ourselves all the time, but once we inform friends, family and colleagues of our goals, the stakes are instantly raised,” says Lori Richardson, president of Score More Sales, a sales effectiveness organization. People are less likely to back away from their goals without giving it a lot of thought and reasoning first. What’s more, by trusting others with your goals, you acquire a support group that can help you stick with it and spur you on to success. But Nescafe-Nestle Bangladesh Ltd. manages their sales people with extraordinary systemic policies. We can say that the policies of they manage their sales people in right way. So the company is growing up day by day and they should able to reach their goal. At present Nescafe is not facing any hard competition from other branded coffees. Nescafe is trying to position itself in the higher end of Bangladeshi market. So far its promotional and marketing campaign has paid of and it holds more than 80% of the Bangladeshi coffee market. The way Nescafe is trying to position and promote itself is very logical and we can see only success in the days to come….up.